That holy figure of Thakur seated on the lotus of heart is made with the divine shinning! By continuous contemplation, His principle is manifested in a mind brimming with joy, full of love for Him. 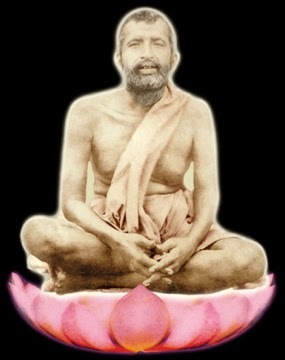 The bumblebee of my mind is buzzing: 'Ramakrishna is essence of all the divinities'.